Honey bees where people live, grow food, teach, or enjoy life. Similar to how aquarium services work adding that honey is provided, pollination is conducted and HAYH provides education. Many support bees, others have gardens needing pollination, some just want a hive of their “own”, and everyone would love honey. HAYH gives these things to those that prohibitive costs, extensive knowledge and time prevent. Sign up for updates: hiveatyourhome @ gmx dot com and like on Facebook to see current photos/video. Check out the Hive Adoption and Partial Sponsorship Locations page. The locations include Rural Middle Branch Farm an organic CSA serving a few hundred members, in New Boston, New Hampshire that will gain hives for pollination. There also great are Urban locations like the Somerville Community Growing Center,in Urban Somerville, MA. 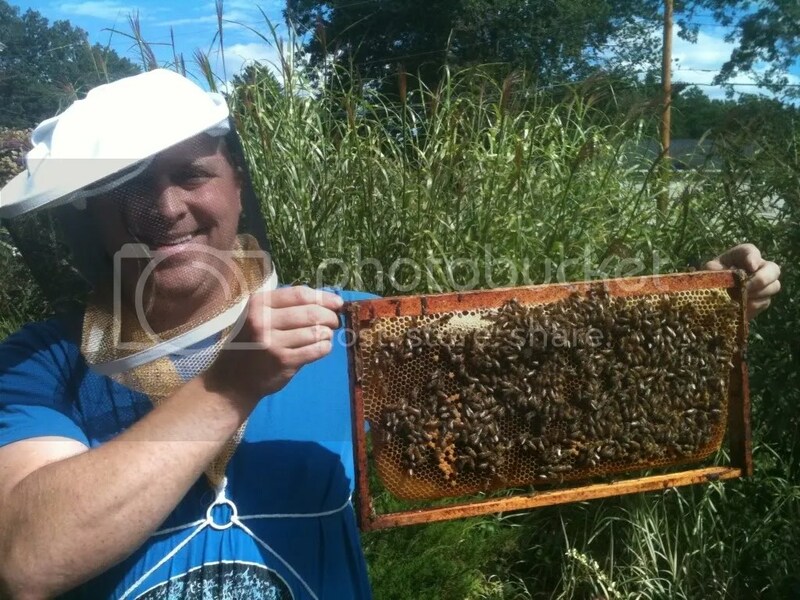 Additionally a newly established educational farm, Coleraine Farms, in Brookfield, NH would gain the bees for both pollination and demonstration purposes. Another location is the Weeks Brick House and Gardens in Greenland, NH, a non-profit open to the public. We’ve added community gardens (i.e. Wilton Community Garden) in greater Boston and in New Hampshire and would love to add more with your support. There will be 5 times as many people starting next year, I am so happy that people have shown so much enthusiasm. SIGN UP FOR THE SPRING 2014 WAIT LIST BY E-MAIL. $325 for Hive-At-Your-Home times two. 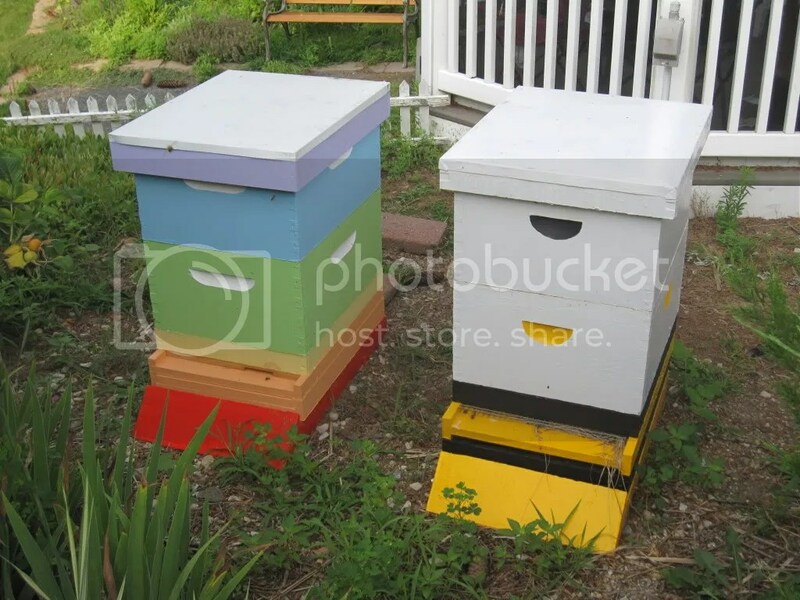 As simply as doubling down on the benefits of one Hive-At-Your-Home. 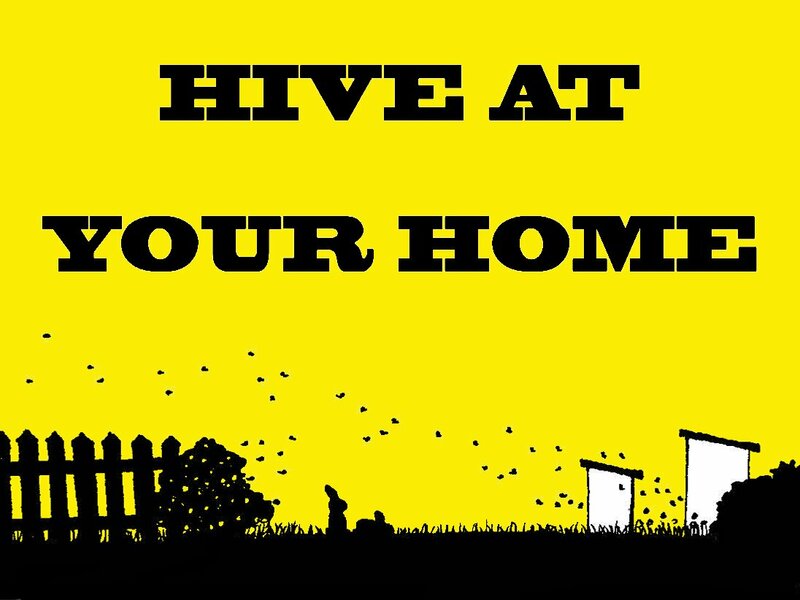 For ordering details check the "Getting a hive at YOUR home” page. I keep bees, Warrior Princess Apiaries (that’s named after my daughter and all the daughter bees that are in the hives) is for honey. Either a sponsor pays for a worthy location or a client pays for me to bring the bees, the hive and my expertise to their qualifying location. Hive At Your Home will service Boston and MA north of the Pike, East of Worcester and NH below the Whites. The bees can only be placed where they can kept until the next spring (or at least late fall.) For the duration of that time, and longer if the client renews for another year, I maintain the hive. The only thing the person at the location needs to do is point out a location, enjoy them, and receive honey. The first year may or may not produce surplus honey as it is hard for the bees to establish a new home. Additionally tying together reduced maintenance, so that people don’t have to see my mug each week, and for the better health of the bees I will be using modified Warre hives and management techniques versus those I utilize on the commercial standard Langstroth hives. What this means is that the hives are setup for the bees, not for people. Construction and management will comply with NH Sec. 429.4 and MA 330 CMR 8.04. I will be crushing comb and straining, or doing cut comb, verses extracting and reusing comb and as a result I will be obtaining less honey per hive. But one important aspect is that is that is yield per surviving hive, dead hives make no honey and by selecting this a hive type and management style that is better for the long term survival of the hives. I visit the hives periodically and conduct all the maintenance, if you are there and have an interest I love to talk about bees. Additionally when you get the e-newsletters, after the first section of necessary details concerning Hive At Your Home business and schedule, I’ll then be adding a section to update on the current hive activities and what detailed maintenance is conducted for those that are interested in the nitty gritty. I’ll also be supplying the newsletter a great resource, “At the Hive Entrance – How to know what happens inside the hive by observation on the outside.” Watch out if you show interest in what is going on as I may drone on and on about bees, though I do realize some may just want a little honey and I’ll spare those hours of bee chat. For even more details checkout the FAQ page. Local bred bees treated with nothing but respect. This no treatment approach keeps toxins away from the honey and bees, while breeding for bees long term survival, not putting them on short term life support. Bees have all sorts of new challenges facing them, giving them a management practice that is not detrimental for no benefit, will help give these bees a better chance at survival. As a result this will help me join the community of those breeding bees that don’t require constant life support of a soup of toxins that are used as “treatments”. …And the honey- its raw, its treatment free unlike 99.9+ percent of “honey” (which might not be honey if purchased in store,) and it will create local sourced honey that will be kept separate to provide ultra-local honey to those in the community. This is not the normal venture to start a “bee keeping” business, this is the beginning of a “bee giving” business.